Tour de Fleece is over and I finished all my spinning. I spun 1,136 yards of Shetland 2-ply yarn (on my wheel) and 270 yards of Alpaca/Firestar 2-ply yarn (which was spun on a drop spindle). When you consider that to spin a 2-ply yarn means that two strands of singles was spun and then both singles are spun again to ply it’s like spinning it 3 times. 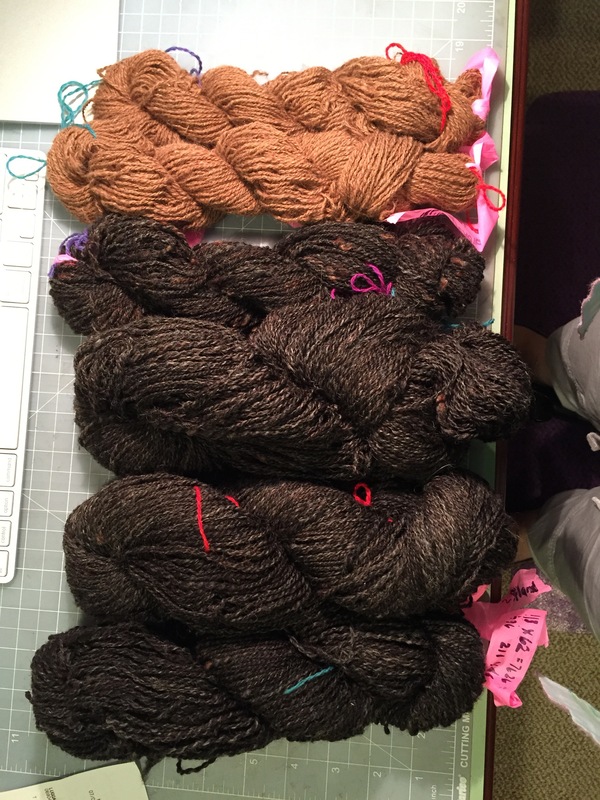 So I figure that I spun 4,218 yards. That’s 2.4 MILES.